Governor P Sathasivam had on January 3 sought an 'urgent report' from the CM on the disturbances during the 12-hour state-wide shutdown called by Hindu fringe groups and supported by the BJP. 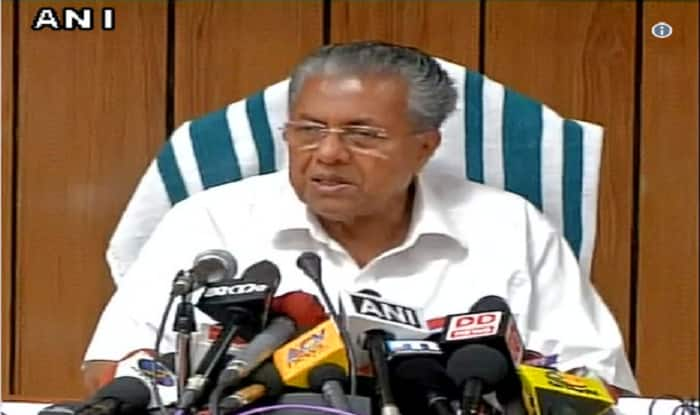 Thiruvananthapuram: Kerala Chief Minister Pinarayi Vijayan submitted a report to the Governor on recent incidents of violence in the state over the entry of women into the Sabarimala Temple on January 2. Assuring strict action against the culprits, the CM said that a total of 10,024 accused have been identified, out of which 9,193 belong to Sangh organisations. Governor P Sathasivam had on January 3 sought an ‘urgent report’ from the CM on the disturbances during the 12-hour state-wide shutdown called by Hindu fringe groups and supported by the Bharatiya Janata Party (BJP). “The Chief Minister described the nature of the agitation and the action taken to curb the violent protests in different parts of the State,” a release from Raj Bhavan said on Thursday. He has assured the Governor that stringent action would be initiated against those involved in the violent incidents, irrespective of party affiliation, it added, as reported by PTI. The report spoke of a conspiracy to create communal tension, claimed News18, while asserting that CDs and pictures to support the same were submitted to the Governor by the CM. Initially, when the shrine was thrown open for the devotees, about 30 women, of which five were women journalists, were stopped by the protesters, the report stated. “This is a violation of SC order. About 17 media personnel were injured while covering the protests and 25 people have been arrested in seven police stations across the state in relation with this,” it added. Widespread violence, involving BJP-RSS and ruling CPI(M), broke out in parts of Kerala, particularly Kannur district, during the January 3 hartal that was called following the entry of two women in ‘banned’ age group into the holy shrine on January 2. Several houses and shops of rival leaders and workers were attacked during the protests over Sabarimala issue. On January 2, two women, Kanakadurga (44) and Bindu (42), broke a centuries-old tradition and entered the Lord Ayyappa shrine and offered prayers. Following this, the thanthri, Kandaru Rajeevaru, closed the sanctum sanctorum to perform the ‘purification’ ceremony.